Meteor House » Announcing Hadon, King of Opar and a new hardcover edition of Exiles of Kho! Announcing Hadon, King of Opar and a new hardcover edition of Exiles of Kho! We’re thrilled to announce that Philip José Farmer’s Ancient Opar returns this summer in Hadon, King of Opar, a brand-new novella set in the lost civilization of Khokarsa written by Christopher Paul Carey—with stunning artwork by Bob Eggleton! The new novella, authorized by Farmer’s estate, resumes Hadon’s storyline fourteen years after the events of Farmer and Carey’s The Song of Kwasin (we’ll have some good news about that novel later this year! ), and should be considered Volume 4 in the Khokarsa series. A sequel by Carey, Blood of Ancient Opar, is already in the works, and having read the thrill-ride of Hadon, King of Opar, we couldn’t be more pleased. 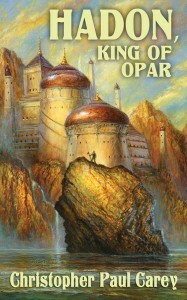 Click here to preorder your copy of Hadon, King of Opar. On top of the big news about Hadon, King of Opar, we’re happy to meet reader demand for a new hardcover edition of Exiles of Kho by Christopher Paul Carey! Exiles of Kho was was Meteor House’s very first Signed Limited Edition novella. It was published in paperback in 2012 and has been out of print for over two years. Since then, a large number of our readers have asked for the novella in hardcover, so we’re happy to announce this new Signed Limited Edition Hardcover of Exiles of Kho, with brand-new cover art by Mark Wheatley! All copies will be signed by Christopher Paul Carey. The print-run will be determined by the number of preorders, so reserve your copy of the Signed Limited Edition Hardcover of Exiles of Kho now! Click here to preorder your copy of the new Signed Limited Edition Hardcover of Exiles of Kho. One more thing—and we have saved the best news for last—if you would like to preorder both Hadon, King of Opar (in paperback, hardcover or both) and Exiles of Kho (in hardcover) we have special package deals that will save you money! 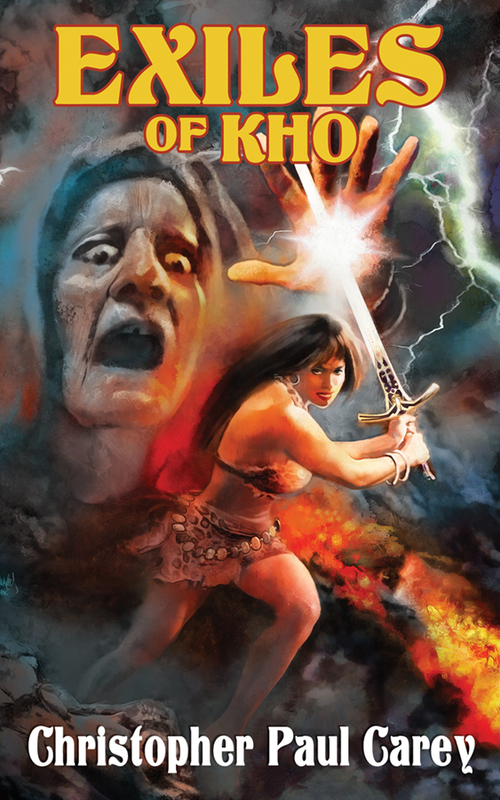 Comments Off on Announcing Hadon, King of Opar and a new hardcover edition of Exiles of Kho!